Struggling with paying bills can be stressful. But if you are assessed with government fines your situation can get out of control quickly. Fortunately, for those in financial distress, there are ways to free yourself from debt. 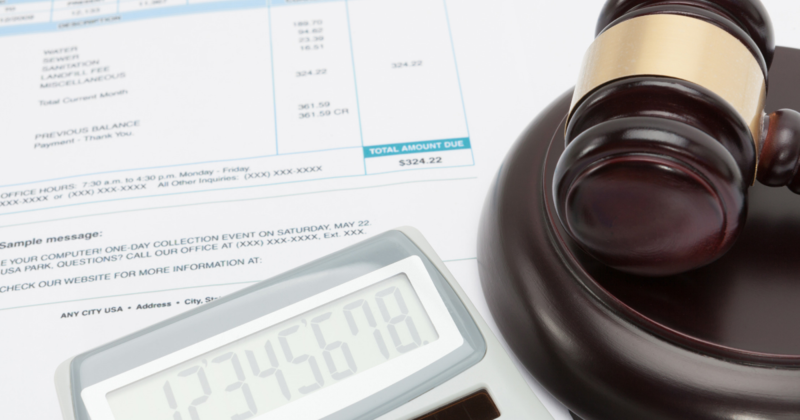 So, if you are struggling with debt and considering bankruptcy, here’s what you need to know about court fines and bankruptcy. Under Chapter 7 bankruptcy protection, fines which were assessed as penalties may not be discharged. These fines are generally issued as a punishment for disobeying the law and may include things such as traffic tickets or violations. Any fines which are sought as a form of reimbursement, however, may be discharged under a Chapter 7 bankruptcy. Fines which are sought as reimbursement are meant to offset the costs a governmental authority spent when dealing with an issue you were involved with. For example, say you accidentally ran into a government-owned vehicle and caused minor damage. You may be levied a fine to cover the costs of the damage the vehicle incurred. Since this is not a punishment, but rather a debt, this fine can be fully discharged in Chapter 7 bankruptcy. Unlike Chapter 7 bankruptcy, Chapter 13 bankruptcy protections allow for the discharge of fines which were assessed as a means of punishment. Chapter 13 bankruptcy protections also allow the discharge of punishment debts if the debt was the result of fraud. There are restrictions, however, on what types of punitive fines can be discharged in Chapter 13 bankruptcy. Those fines which were included as part of criminal sentencing – including any restitution fines – cannot be discharged through bankruptcy. Similar to Chapter 7 bankruptcy protection, under Chapter 13 bankruptcy, any fines which seek reimbursement for governmental costs or loses may be discharged. One of the benefits of filing for bankruptcy is the opportunity to get a fresh start after long financial struggles. Filing for Chapter 7 bankruptcy is a great way to get out from under a mountain of debt and get your financial feet under you. Even better, Chapter 7 bankruptcy can help you pay for defense attorney fees. Working with an experienced Florida bankruptcy attorney can help you to manage your debts and free yourself financially. The Law Offices of Patrick L. Cordero are proud to be Florida’s largest bankruptcy law firm. Offering personalized attention to every one of their clients, they understand that every situation is unique. If you’re considering bankruptcy, regardless of the type, having an experienced attorney by your side can go a long way. Trust the Lawyer of the Decade, the Minority Lawyer of the Year, and the Largest Bankruptcy Firm in Florida, and they ’ll work to get you the best possible financial outcome. Trust in the experienced and passionate legal team at The Law Offices of Patrick L. Cordero to help you. Call today at (305) 445-4855. This entry was posted in BANKRUPTCY, CHAPTER 7 on December 17, 2018 by wpadmin. Filing for bankruptcy is a special decision. Bankruptcy may seem like your whole world is crashing down on top of you. But bankruptcy isn’t the entire weight of the world falling on you. Instead, it’s the weight of your debt burden being lifted from you and giving you a fresh start. That doesn’t mean bankruptcy isn’t without its drawbacks. How does bankruptcy affect credit ratings? Is Bankruptcy the Right Decision for You? While this may seem like a negative, it is crucial to remember that they also have the crushing burden of lifted. After all, if the individual was struggling with credit card debt, losing access to these burdens will allow them to learn to cope financially without them. One of the best ways to consider bankruptcy is facing reality, over living in denial. Try contemplating if you could repay your entire debt in two years, over 24 installments. If this sounds like an impossibility, would you rather lug around an unserviceable debt and take a continual hit on your credit score? Or would you rather accept that your finances need restricting, and save yourself the torture and burden of living in a nightmare of debt and not even being able to even pay off the monthly interest? As noted above, filing for bankruptcy, both chapter 7 and 13, will hinder your credit score. But it does not mean that filing for bankruptcy is not in your best interest. Nor does it mean that filing for bankruptcy will necessarily destroy your credit – it may be the fastest route back to improving your credit score. Having these types of debt unburdened from you may help you start over again financially and help you learn to make better financial judgments, leading to an improved credit rating over time. If you find yourself sinking in a sea of debt, but want to protect your hard-earned assets, take steps to improve your credit score. 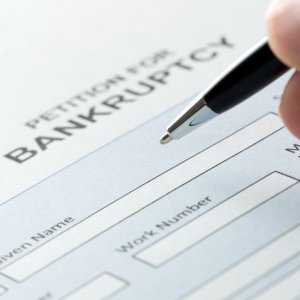 Moreover, you need to contact an experienced bankruptcy attorney right away. Bankruptcy isn’t the end – it’s a new beginning! Call The Law Offices of Patrick L. Cordero for a free consultation today at (305) 445-4855. This entry was posted in BANKRUPTCY, BLOG, CHAPTER 13, CHAPTER 7 on October 22, 2018 by wpadmin. Con los precios de matrícula que se disparan para universidades y colegios en todo el país, incluidas las ubicadas en Miami y el sur de Florida, para alcanzar un grado académico, muchas personas se ven obligadas a tomar tanto préstamos privados como federales. Como escribimos en una publicación previa del blog, algunos expertos financieros esperan que la próxima ola de personas que se enfrentan a la bancarrota sean estudiantes que carguen con la deuda de los préstamos para la educación superior. Para algunos ex alumnos, el futuro es ahora. Las personas que se encuentran con una gran cantidad de deudas de múltiples fuentes, incluso de préstamos escolares, se declaran en bancarrota en un intento de comenzar de cero. Lamentablemente, el resultado final no siempre es todo lo que esperan. Esto se debe a que, a menudo, la pesada carga de la deuda generada por los préstamos escolares se da en forma de préstamos a escuelas privadas que no se pueden cancelar en un procedimiento de bancarrota. Independientemente de si se declara en bancarrota según el Capítulo 7 o el Capítulo 13, el resultado final de una declaración de bancarrota suele ser la cancelación de cualquier deuda restante en forma de préstamos para automóviles, hipotecas, facturas médicas y tarjetas de crédito. Los préstamos de escuelas privadas no están incluidos en esa lista. Ellos, junto con varios otros tipos de deudas, incluidas multas penales y pagos de manutención de los hijos aún permanecen al final de la quiebra. Los préstamos escolares no siempre estuvieron en esa categoría. Antes del 1976, todos los préstamos garantizados para pagar la escuela fueron dados de baja en la bancarrota. Desde entonces, las leyes han seguido reduciendo la capacidad de un estudiante para cumplir con la deuda del préstamo escolar. Curiosamente, lo que actualmente es la mayor prestamista privada, Sallie Mae, ha indicado que respaldaría los cambios a la ley que permitirían a las personas que deben dinero en préstamos escolares que los liberen después de un cierto período de tiempo. La advertencia es que la misma regla debería aplicarse también a la aprobación de préstamos federales. Queda por ver si un cambio como el que apoya Sallie Mae llegará a buen término. Mientras tanto, es importante que cualquier persona que esté considerando declararse en bancarrota conteste todas sus preguntas consultando a un abogado especializado en bancarrotas. This entry was posted in BLOG, CHAPTER 7 on November 29, 2017 by wpadmin. What was once considered the credit kiss of death, bankruptcy is now being seen as a last attempt to re-organize your personal finances and take charge of your debt. For couples trying to make every last dime stretch and banks now tightening their belts on lending, getting ahead or even staying above water is changing how America sees bankruptcy. It isn’t usually until someone takes a close look at their finances and realizes that their liabilities outweigh their assets that they consider filing. For most modern families, the struggle to stay afloat has become as American as apple pie. That being said, the hit to your credit that used to be feared when considering bankruptcy is no longer really that bad. In fact, it has been suggested that lenders are adjusting their mentality about the family finance landscape and changing how they do business. While there is evidence that some lenders are willing to offer mortgages to individuals that have filed bankruptcy, struggling families can breathe a sigh of relief. No longer, does filing mean home-ownership is out the window. Even for those simply worried about their FICO scores. With proper management of personal finances post bankruptcy, credit scores can begin to show improvement within six months. For individuals considering bankruptcy, a skilled attorney can help. With their knowledge and resources, you can ditch the debt and begin rebuilding your life. The days of feeling ashamed by the struggle are over and for many it is time to exercise your right to live debt free. This entry was posted in CHAPTER 7 on October 3, 2017 by wpadmin. Anyone that has experienced the stress and anxiety that comes with financial struggle knows how sickening it can really be. Simply saying it’s difficult isn’t doing it justice. When times are tough and mounting debt is weighing you down, just getting out of bed in the morning can seem impossible. Like any other kind of stress, financial stress can be bad for you health. If you are experiencing this type of struggle, it may be time to make a change. High daily stress levels can lead to all sorts of bad health conditions. Just as with people in high stress jobs, heart attack, high blood pressure and ulcers can wreak havoc on your insides. Even if it takes a while to develop a chronic issue, constant financial stress can impact your sleep, eating and drinking habits and may even lead to developing new, even unhealthier ways of coping such as smoking. If you have been struggling for an extended period of time, chances are you have already noticed the impact financial stress may have had on your health. People that are stressed out tend to eat more and unhealthier which leads to weight gain and possibly diabetes. Migraines and headaches can also be an effect of chronic financial stress. While it may be difficult to tell if your health issues are due to financial stress or another type of stress, identifying your stressful triggers and working to reduce them may be a good idea. For individuals dealing with a high daily stress level due to financial struggle, it may be time to consider bankruptcy. For most individuals, bankruptcy is considered a last resort, but if your health is at risk because of your financial condition, bankruptcy may be considered a lifesaver. Consider speaking to a trusted bankruptcy attorney, and get your health and finances back on track. Bankruptcy is scary. For many people, it represents failure and is a place they never thought they would be. However, siphoning out the truth from bankruptcy’s mythical reputation can help make struggling individuals feel much better about considering it. Let’s face it, the thought that all your friends and coworkers will know you have filed for bankruptcy is embarrassing. For some people, simply considering the fact that it’s public record is enough to nix the whole idea. And, yes bankruptcy is a public record. However, unless you announce it, or you’re high profile enough your financial struggles make front page news, chances are no one will ever know you filed but you and your creditors. Thinking about starting over debt free is exciting, but thinking about starting over with nothing is not. Don’t worry, you’re allowed exemptions and it is very likely that the property you want to keep, you’ll be able to keep. Bankruptcy laws are strict, but they offer protection too. You may be able to keep important assets like your house, retirement plans and your car. Bankruptcy does not ruin you for life. You will get credit again. In fact, many people that have filed bankruptcy begin receiving credit card offers within the year. Sure, they may be subprime lenders, and they will likely carry a high interest rate, but it’s a credit card and a way for you to begin building your score back up. Making the decision to file bankruptcy may be difficult but actually doing it isn’t. With the help of a trusted and experienced attorney, you can start the process to financial recovery. While the timeline from start to finish varies depending on the individual situation, most bankruptcies are dischargedwithin six months. If you are considering bankruptcy, speaking to a bankruptcy attorney may help. Many people that consider bankruptcy believe that when they file bankruptcy their home will go into foreclosure. If you’re not going to reaffirm your mortgage then yes it can go into foreclosure for non-payment. If you reaffirm your mortgage, you may continue your payments as usual. However, aside from reaffirmation or foreclosure you also have the choice to surrender your home. By surrendering your home, you are giving it back to the lender. In contrast, when you foreclose on your home, it is essentially being taken away from you. If your home is in foreclosure, and you decide to file bankruptcy, the foreclosure proceedings will be held off by the automatic stay provided to you by the bankruptcy code. Shortly after your discharge, however, the foreclosure proceedings will then continue as normal. If you choose to surrender your home in your bankruptcy, you may do so regardless of foreclosure proceedings being started. Many people may wonder what difference it makes whether their home is given back or taken away. In the event a home is surrendered in bankruptcy, it will still go through foreclosure. This is done to clear the homeowners name from the deed. However, when homes are not surrendered and foreclosed on, the homeowner may still be on the hook for any amount due to the lender after the auction. If the home sells for a price that satisfies the loan, then the homeowner may not owe anything. However, if it is sold short of its loan, the homeowner will be required to pay the difference. When a home is simply surrendered to the lender, the homeowners are essentially turning in their keys. This keeps the homeowner safe from the lender demanding payment on the home. If you are considering bankruptcy, foreclosure, or surrender, speaking to an attorney can help you stay informed of the differences and how they may impact what you owe. Typically when a person is struggling financially, they explore all the options available to them before considering bankruptcy. Many times for these people the promise of debt freedom through consolidation seems like a viable option. However, when considering what your debt is actually costing you, especially for those struggling later in life, it may be a better option to file Chapter 7 bankruptcy. By doing so, you may be able to focus on retirement rather than giving up valuable income to a consolidation plan that may still damage your credit. Debt consolidation is not always the less damaging option for individuals struggling with debt. Through consolidation, a person’s unsecured debts are lumped together and negotiated on to create a smaller, more manageable payment for the debtor. The debtor is essentially settling their debts for less than they owe. However, they may not benefit from the settlement since the consolidation company makes their money by charging a fee for managing the payment plan. While many people think that consolidation is not as destructive to their credit as bankruptcy, they should consider the period of repayment as one long credit and income drought. Sure, they are paying back their debt but for the three to five years it takes them to do it, their credit is damaged, and they still are not debt free. The consolidated payment may be manageable but it isn’t gone, and income that could go toward a credit building secured credit card or retirement account is being eaten up by a the consolidation payment. Struggling individuals might be concerned about how bankruptcy or consolidation may impact their retirement. Depending on their age, it may be a better choice to take whatever amount a consolidation payment would be and put it into a retirement account. It may not save their credit, but neither does consolidation. And with their new debt free life, they can focus on not only retaining their income but making it work for them. Bankruptcy is not for everyone, but for individuals looking for a fresh start contacting a bankruptcy attorney can help. WHEN IS THE RIGHT TIME TO FILE BANKRUPTCY? Many people wait until the last minute of sanity before filing bankruptcy. Faced with extreme hardship and frustration, most people that consider it, don’t actually do it until they have nearly lost their minds fighting the uphill battle against financial struggle. Unless you know for sure that bankruptcy is your best option, making the decision to do it can be extremely difficult. If you have been struggling with the decision to file for bankruptcy and just need some advice, consider asking yourself a few questions. How you answer may help you reach a decision you actually feel good about. For most consumers, sitting down with a budget is a great place to start to getting a clear picture of your financial situation. If you owe more than you make, paying down your debt will be impossible. Unless you know you’re coming into money in the very near future, simply breaking even every month puts you in a vulnerable position if an emergency arises. If your budget paints a bleak picture and your liabilities outweigh your assets, you may want to try negotiating with your creditors. Not everyone is willing to work with you, but if you are struggling with the decision to file bankruptcy, knowing you have tried everything before you do it may give you the peace of mind needed to take the plunge. If your financial situation is not about to change in the near future, bankruptcy may be the best answer. Overspending is one thing, but being physically unable to generate income is a whole different situation. Many bankruptcies are prompted because of catastrophic events that change the financial landscape of a family. If you fall into category, you may want to consider how you or your family will recover while dealing with the stress of financial struggle. Anytime bankruptcy is being considered, speaking to a trusted attorney is advisable. They can usually offer advice that helps make the decision easier and the process smoother. TelexFree, a marketing and telecommunications firm, filed Chapter 11 bankruptcy last year in a desperate attempt to reorganize some of its outstanding debt. While the company may have expected to be relieved of some of its debt through Chapter 11, what they likely did not expect was a federal raid and seizer of its assets soon after. After looking into the company’s financials and operations, the bankruptcy trustee responsible for overseeing TelexFree’s Chapter 11 bankruptcy noticed something off about the company and their operations. The company, which claimed to provide telephone service and voice over Internet protocol to customers, appeared to be managed more like a pyramid scheme. Investors were called promoters and were promised huge returns if they got more people to invest in the company. During an investigation into the company as part of a Securities and Exchange Commission complaint, it was discovered that the company actually took in about $360 million from investors but only provided about $6 million in actual service sales. With this and other information, the federal judge presiding over the bankruptcy ruled that TelexFree was a fraudulent company and, therefore, can be held responsible for the losses of their 1 million investors. To help investors recoup some of their money, federal agents were ordered to raid the company’s headquarters in Massachusetts and seize any and all assets. The company’s owners have been indicted on criminal charges of fraud. One owner is under house arrest, and the other has fled the country. While it is not known just how much was seized during the raid on TelexFree, it may be difficult to pay back the millions in lost assets by investors worldwide. Just as with so many other schemes promising huge returns, individuals looking to improve their family’s financial situation may have invested their entire life savings in this or other companies. Hopefully, the raid on TelexFree will help return a portion of some individuals’ investments. However, many people that fall victim to this type of fraud never recover. If you are now struggling because of an investment gone bad, it may be time to speak to a skilled attorney. With their help, you may be able to wipe the slate clean through bankruptcy.